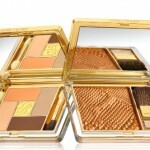 The eyeshadow palette from the limited-edition Bronze Goddess Collection is always one of my summertime makeup staples. This year, the Pure Color Five Color Gelée Powder EyeShadow Palette in Bronze Sands ($45) is truly a must-have. The gelée formula enables you to use the eye shadows wet or dry and the colors are dimensional and shimmer with light-reflecting pigments. So pretty! 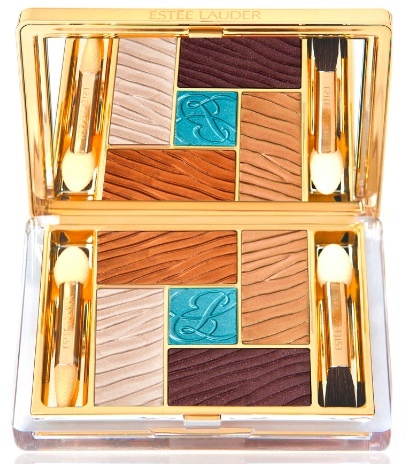 The shades include a shimmering ivory, gold, copper and bronze with a beautiful aquamarine shade to accent. The new Pure Color Intense Kajal Eye Crayon Duo in White Sands/Molten Lava is all you need to give eyes that smoldering look. Using the White Sands end of the pencil on the inner inside rim of the eyelid gives eyes a more wide-awake look, while the Molten Lava is all about adding the smoke, $24. One thing I love about Estée Lauder Pure Color Gloss is that there is no sticky or tacky feeling. The new Shimmering Mirage is like a shimmering vanilla shade giving a very natural, sun-kissed look when worn alone. It can also be added on top of another color to give an extra boost of shine and sparkle, $22.50. If you’ve never tried Estee Lauder Pure Color Nail Color, you need to–really. The formula is excellent; long-wearing and chip resistant. This summer’s shade is Molton Lava, a dark bronzy-brown with a very subtle gold shimmer. This looks amazing on toes, $19. And then there are the fragrances…what would summer be without one? New Bronze Goddess Capri ($57) is a limited edition, Solar Oriental fragrance inspired by the seductive Isle of Capri. This new fragrance really captures the essence of the Mediterranean with notes of Cassis, juicy Mandarin and Lemon Leaves at the top, floral notes in the middle and Vanilla, Amber, Patchouli and Musk at the base. 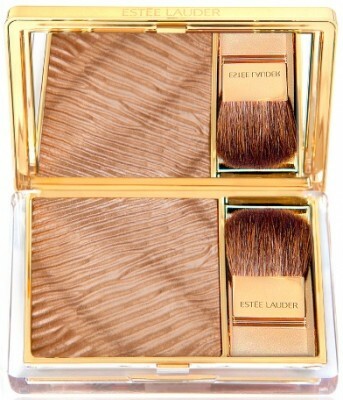 In addition, a cult favorite, Bronze Goddess also returns for summer 2012 for a limited time. 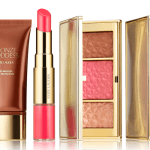 The Estée Lauder Bronze Goddess Capri Collection is available now in department stores including Nordstrom.com and online at EsteeLauder.com.